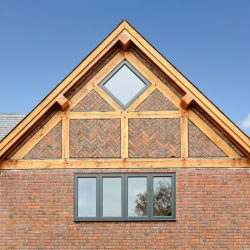 We supply and fit made-to-measure aluminium windows and doors to homes and businesses in Fulham! 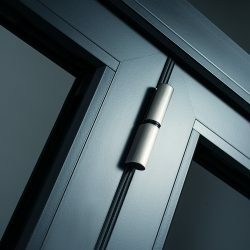 At Merton Windows and Doors, we understand what is required by our discerning customers when it comes to quality glazing. 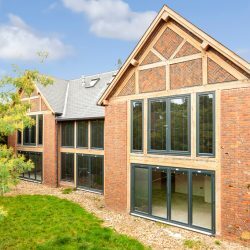 We supply and fit a range of exceptional products, including aluminium windows, aluminium doors, skylights, roof lanterns and more to domestic and commercial customers in Fulham, Parsons Green and beyond. 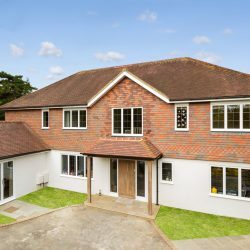 We are a well-established, family-run company, with a well-founded reputation based on quality work carried out by experienced and dedicated fitters. We are FENSA-registered and all our work comes with a 10-year guarantee. 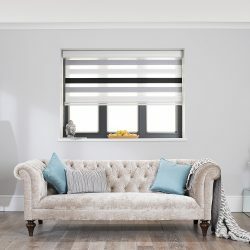 Each project we undertake is completed with care and attention to detail, using only the best products on the market, yet affordable and fair prices. 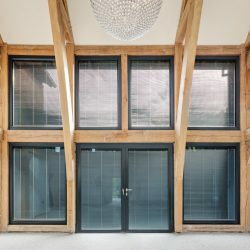 Whether you are looking for a single aluminium window replacement, are thinking about aluminium pyramid skylights for a new extension project or want a custom-designed aluminium front door, we will have a range of options for you to choose from. 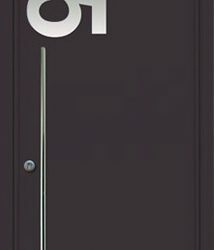 We install high-quality products manufactured in the UK to the highest specification, from the likes of Kommerling, Pilkington and Spitfire Doors. 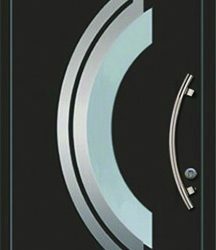 These products offer not only beautiful aesthetics, but excellent energy efficiency, and security. 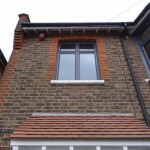 Alongside aluminium windows and doors, we also supply and fit sash windows and other glazing products in Fulham. 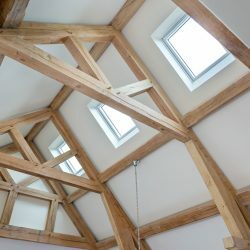 We can offer a free consultation and estimate for any work. When we agree to a deadline for completion of a job, we will always stick to it. By using the highest grade materials and tools, every job is also completed to an exceptional standard. Call now to hear more on 0208 542 2233. 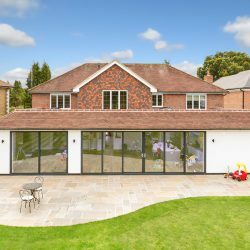 Aluminium is an inherently strong material, meaning you can fit really big windows and doors without the need for a large frame to support the weight of the glazing. 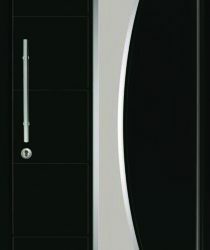 Not only are aluminium frames much narrower but the doors and windows can be made much bigger too. 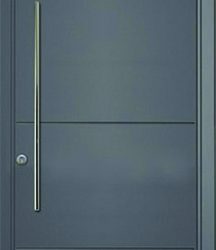 We supply and install Spitfire Doors, which can be manufactured up to 1.2m wide and an impressive 2.7m high. 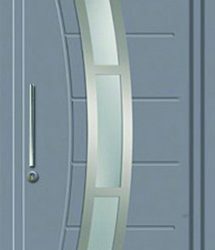 Aluminium windows and doors come in a huge range of styles and are available in over 200 RAL colours, including a dual colour finish, where the inside and outside are different colours. 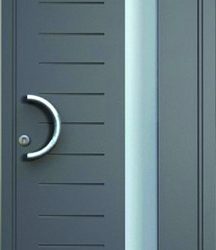 They are also finished in a high-end powder coating, so will never need repainting and only require minimal maintenance. 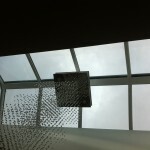 They also offer abundant design possibilities. 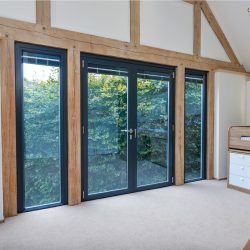 If energy saving is at the top of your agenda, then our aluminium windows and doors are amongst some of the best insulated windows and doors on the market. Read our blog about how energy ratings work. Aluminium is also an environmentally friendly choice and is 100% recyclable without the loss of quality. For all your skylights, roof lanterns and aluminium windows and doors in Fulham, get in touch with our glazing installers today! Please ring 0208 542 2233, email us at [email protected] or fill in an online enquiry form and we will give you a bell back.